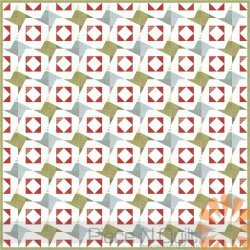 Create this fun Liberty Star Christmas Quilt using half rectangles and half-square triangles. The designer created this Christmas version of a quilt she had already designed. It's amazing to see how the fabric colors can completely change a quilt! 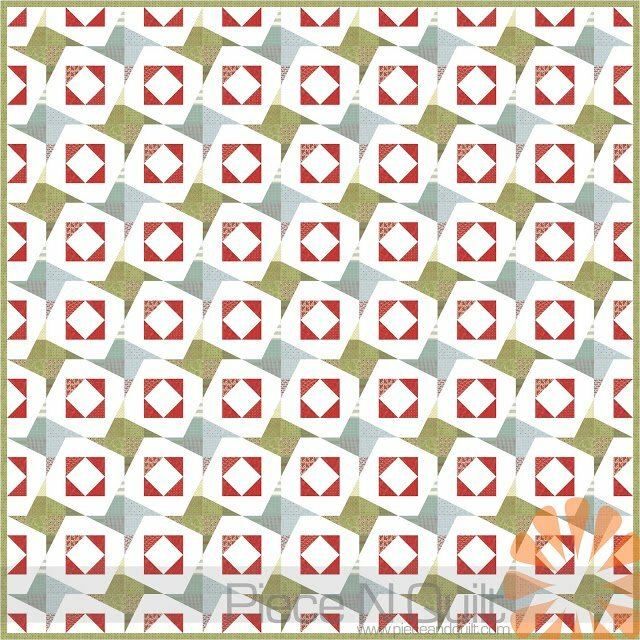 Today's fun quilt comes from my free tutorial for the Liberty Star Quilt Block. The block is designed to finish at 12" square, the quilt shown here will finish 96" square, but you could make any number of blocks to make the quilt any size you'd like. Fabrics shown are Snowfall by Minick & Simpson for Moda Fabrics." See the original version of the quilt here.